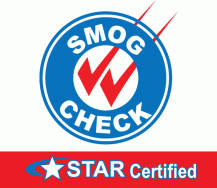 We are a STAR certified smog check facility for the State of California. 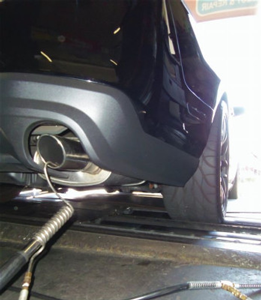 If the DMV requires a smog check for your vehicle, we can take care of you at our facility. We smog diesels, hybrids and gasoline powered vehicles. 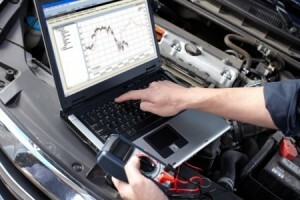 We have the latest version of diagnostic software for majority of vehicles. This enables us to test and perform high-end diagnostics on the latest vehicle models. The areas diagnosed include Engine, Airbags, ABS, Emission and Evaporation Control Systems. Check-Engine-Light diagnostics are crucial for cars that need to pass the smog inspection and are unable to do so due to the Check-Engine-Light being on. 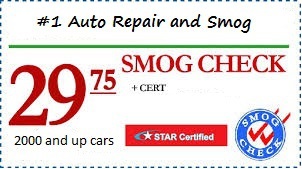 #1 Auto Repair and Smog is an independent Repair and Smog facility in Campbell, California. We’ve earned a reputation for honesty, competency and for standing behind our work. We treat our customers the way we want to be treated – with courtesy and integrity. Our mission is to get it right the first time, to provide you with an accurate diagnosis and estimate so you can make informed and affordable choices. We are a great alternative to the dealer as we hire ASE certified techs and provide repairs at an affordable price. 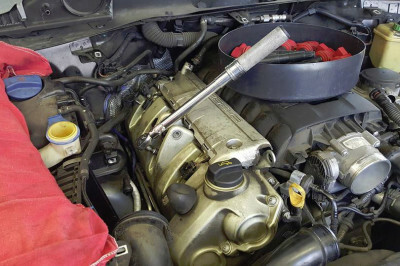 We work on all makes and models and have over a decade of auto repair and diagnostic experience. We also offer free wifi, shuttle service within 5miles and pickup/drop off. I bought a second hand Mazda 3 and have it checked at this place. They are quick and efficient. I also get a $5 discount for oil change. This was a good place to get a smog check. I only do once every two years, but they were fast, friendly and efficient. I would go here again! I was there just getting gas and one of the mechanics noticed while at the pump that my front left tire needed air. When I looked down and saw how low my tire was, I knew instantly that this man saved me from either getting into a horrible accident on the highway or getting stuck on the side of the road. Amar had me pull my car around and he filled up my tire and checked all my other tires as well just in case before he sent me on my way. He didn’t expect anything in return. That’s when you know you have good people working at this location. I wouldn’t hesitate to return to this auto repair shop if I ever needed something in the future. Thank you so much for your help Amar!!! I took my Mercedes GL bluetec diesel here for the A & B service. I dropped it off on Friday morning and it was done the next day just like it was promised. They did inspection and noticed that the breaks needed to be services and took care of it, I’m glad I didn’t have to waste time and come back again just to do the breaks. We had the car back and took it for a road trip to San Diego for a weekend. We saved a lot of money and got same service as a dealer for fraction of the cost. I’m definitely coming back for my future car needs.